Let the giveaway games continue. As long as we are having a Giveaway Weekend (Pick your Prize! ), we might has well keep the fun going, right? More chances to win something is always a good thing. 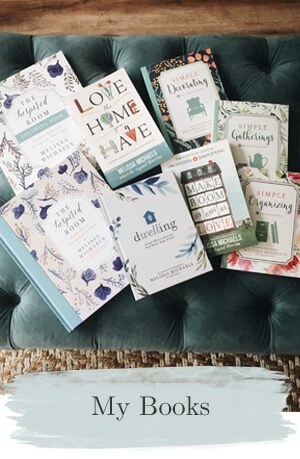 So I have a fun giveaway for you today from Apartment Guide! They are the awesome company who sponsored me for the EVO conference and the ones who are running that fabulous Your Picks. You Place. $10,000 Sweepstakes I’ve been telling you about! That sweepstakes is almost coming to a close so you have just a couple more days to vote for my Retro Design Board (vote once a day) and be entered to win! Did you see my Retro bedroom board? I think it is pretty nice if I do say so myself. Check it out! But today Apartment Guide is offering one lucky reader of The Inspired Room a $200 Gift Card. Sa-wheeet! I bet you could buy something amazing with a card like that, now couldn’t you? Remember when I had my own gift card from Apartment Guide earlier this year and I bought my dining room lantern? Oh how I love that lantern. It makes the room and makes every day happier for me. $200 is good to us like that, it is so much more fun to spend free money. And Apartment Guide is good to us like that to offer us such fun prizes and a great resource too for everything from help with Apartment shopping and inspiration for your place. What would YOU do with a $200 gift card? So what are you waiting for? Enter to win the grand prize $10,000 sweepstakes AND while you are here at The Inspired Room you can enter to win the $200 gift card to spend as you wish on some fabulous project or last chance summer fun. THIS GIVEAWAY IS NOW CLOSED! Winner will be announced next week. Give my design board and the sweepstakes a shout out on Twitter @aptguide #yourpicks. Four entries, leave a comment for each. Four chances to win. Ready. Set. Go. This giveaway will end on August 10th, 10PM PST. Winner will be chosen at random and American Express gift card prize will be sent to the winner directly from the good people at Apartment Guide. It would be a great help in redoing the bathroom but it would be a great help in paying for gas for the car. like apartment guide on facebook! Hmmmmm… I would absolutely buy a *new* coffee table with that gift card. I’m redecorating on a non-existent budget…. selling off stuff I already have, and turning that money around (via craigslist) on used (and revamped by me) furniture. I’d love nothing more than to top the space off with a brand spanking new coffee table, center stage. Glass… or white marble maybe. Clean, chrome-y goodness. I would get a new light fixture for the dining room! I liked Inspired Room on facebook! Ooh, $200 bucks burning a hole in my pocket….let’s see, I think I would put it toward new carpeting. Yes, I know everyone wants hardwood throughout but I still like carpet in the majority of our home. I would spend $200 bucks on some new back to school clothes for me. Why should the kids get all the new clothes? i would use it for our front porch. it’s so ugly right now, any spruce up would help. LOL. it needs a new paint job, desperately…so i would use the money to paint a painter. I “liked” The Inspired Room on facebook. i like you on FB, already. I “liked” The Apartment Guide on facebook. I would love to buy a new light fixture for the bedroom. I am so tired of the ceiling fan! I’m in the middle of decorating my living room (moved into a new house and didn’t have any furniture in it!!) so all of the money would go towards that! Probably accessories and pillows and curtains at this point! I would buy three bar stools for our (current) stand up bar. A new living room rug. I’d use the money for paint and picture frames! Thanks! New kitchen chairs would be wonderful. Put it towards the car I’m saving for! Definately it would go towards bedding! I would love to get some tile for the bathroom remodel I’ve been planning. I’d use it for plane tickets to go visit my dear friend. She just moved away and is expecting any day now! I’ve bought fabric to have a great old chair recovered, so I’d love the gift card to pay for reupholstering! since I’ve been unemployed now for almost 3 years, I’d probably use it for something practical (ugh), but I need a new floor in my small bathroom, where the tile has peeled up and has a stain on it. So that’s what I’d buy with the $200! I would love to have a new rug for my den. I just finished scraping the cottage cheese off my ceilings ,painting walls and trim, redid my fireplace (copied from Layla) got new slipcovers and now need a new rug! Thanks for the chance to win! I would buy paint for our new home! I voted for you on Apartment guide! I would buy a rug for the living room with the $200 gc! I’d use it to buy either an entryway or dining area pendant light! Hello! Thanks so much for this opportunity to win something! How fun! I would use the gift card to buy paint and hire someone to paint our stairway/entry area. We usually paint ourselves, but scaffolding/heights get to me. We haven’t repainted since we moved in in 1997, and since 6 kids roam these halls, it more than needs it! I’d spend sprucing up our master bedroom. We’ve been focusing on our kids’ rooms lately and our room remains in shambles. I think we deserve to have a pretty space of our own! I would buy a new rug for my foyer!!! I “like” the Inspired Room on facebook! Liked the Inspired room on Facebook! I would use the $200 to add to the pot for the perfect wedding gift for my sister. I am planning on antique shopping in VT for a great piece of furniture for their home. My sister is a poor PhD student ready to be a grown-up with grown up things this would help! We are in the process of re-doing our upstairs right now to convert a bedroom into a playroom for our toddler. I would use the money to furnish out the room with fun, colorful accessories like laps, frames for her artwork, curtains and a tbke and chairs that are just her size! I “liked” apartment guide on FB! I also liked Inspired Room on FB! I’d put the money toward hardwood floors – we’re getting ready to redo several rooms. Would love some new art! wow! that’s be a tough choice! It’d either be something fun for the basement that we’re having to re-do because of water damage earlier this year, or a momma roo for the new babe November! I’m want to redo the bedroom, so I’d pick something that would make a great piece to do the rest of the room around. I think I’d buy a bench to put on my small front porch. Or some planters to put on either side of my front door. Something to increase my curb appeal! I “liked” the Inspired Room on facebook even though I’m not so good with the facebook stuff. 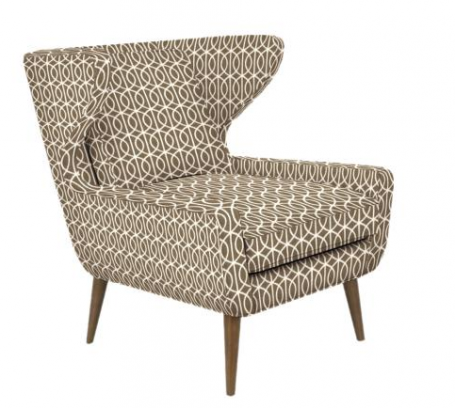 Love the Dwell retro chair you used in the room. I’d put the $200 towards our living room renovation! I like Inspired Room on facebook already. I like Apartment Guide on facebook. I’d plan a day of thrifting if I won! I’m working on our master bedroom, kitchen and office currently. I would probably buy groceries, baby stuff and a table saw so I can actually get something done around here. If I were lucky enough to win, I would put it towards a guest bathroom makeover – it’s next on our list! Thanks for a chance to win! 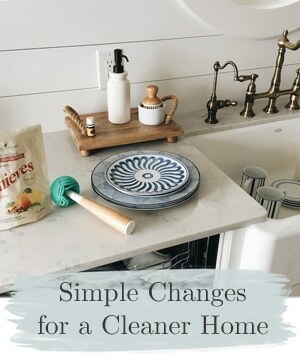 Well, I have so many things I need to buy, but getting new sheets is next in line… or maybe I’d put it toward a new Kitchenaid mixer..hmmm….so many things to buy..
With $200 I think I would get a fun rug for the kitchen and new lighting for my boys room. I liked AG on FB! I would choose some new art pieces for my vintage Chicago apartment. Already liked the Inspired Room on FB! I would spend the gift card on back-to-school clothes! I’d do a mini remodel on the bathroom. I need to paint it, buy a new shower curtain and rugs — maybe towels if there is any money left over. I like the inspired room in facebook! I’m closing on my first house on August 30th, so the $200 would definitely go towards buying paint, fabric, and general home decor!! Great giveaway! I’m coming out of retirement and going back in front of the classroom again so a gift card would come in very handily as I try and update my work wardrobe. I would put it toward my “new couch” fund. Hunt for more fun things to paint! We are redecorating our master bedroom. Everything is going. I would use the $200 for two night table lamps which I have already decided on. What would I do with it? It’s not flashy or decor-related, but I would put it towards our moving expenses! And – I already like y’all on FB, of course~! We are working on one of our bathrooms, so I would use it to help with that!!!! Like The Inspired Room on Facebook. We need a light fixture in our living room, so I would use it to buy that! I could use some seed money toward a new rug for our family room! I would use the gift card to go to IKEA and get lots of storage systems for my office makeover I just started! I would use that $200 to finish up several projects that have stalled out around the house. You know how you can tear into a project and then realize you don’t have the funds to finish it quite right? I have a couple of those going on right now. Thanks for hosting this terrific giveaway! My son needs uniforms for school, so as much as I’d like to spend it on pretty things, it would most likely go towards uniforms! I would put it towards the Merill kitchen island at Pier 1! Love it! I have a long to-do list for our home, and therefore MANY potential uses for this gift card. Paint, decor, furniture, you name it! Thanks for the opportunity. I have a small crafting corner in my closet that could use a facelift. But I would probably use it in a practical way to buy much needed back-to-school clothes for the kids. We need new lighting in our dungeon bedroom! I would love to get some new lighting. I would love to finish up some projects around the house before school starts!!! Thanks for hosting such an awesome giveaway!!!! I would put it toward a new kitchen sink and faucet. Oh how wonderful! I would use the gift card to buy new drapes for my kitchen. I’ve had current rods for weeks now, and need to finish my update at long last! I would buy paint and other fun things to finish up my son’s bedroom. Oooh, so much to do in my home so little money!! I would love to finish my master bedroom decor!!! :) thank you!! I would use the money to get a closet organizer for my office/craft room. That room needs to get organized so I can actually craft in it! I would LOVE a $200 gift card and would use it to buy some new accessories for my room! I would totally buy that side table I have been dreaming of, or a new chandelier, or a new chair, or a camera lens…basically I’m undecided! I would use the gift card to start redecorating my daughters room. She is outgrowing the baby room and ready to move to a big girl room! I would spend it on some new clothes :) or a camera lens! We still have the original light fixtures in our 1900 house, and *most* of them still work. If I had a $200 gift card, I’d buy a new light for our master bedroom, since it only half works (1 bulb out of 2). I am redoing my living room, so I would use the $ to buy some new decor! I would go on an overnighter with my husband. I tweeted about the design board. I would probably buy school supplies for our homeschool. I’d by some fun outdoor furniture for my new screened-in patio room. My daughter’s birthday is in 3 weeks and I would use this to buy her a new deluxe toy kitchen! I like The Inspired Room on FB with my username Mary Happymommy. I need a new lamp for my bedroom and a new light fixture for my kitchen. That’s what I’d do with the money if I won. it would definitely help our new floors to be realized in our bathrooms. I already Like on FB! I would probably buy some paint for the master br and maybe some flooring! Fingers crossed! I’d use the gift card to buy the wood and paint to reproduce Pottery Barn’s Architectural Ledge (retail $350) for my great room wall. My wonderful son-in-law is going to help me make it! I’d probably put the money towards painting my kitchen cabinets, new door hardware for my interior doors, or towards a backsplash in the kitchen. Liked you on Facebook :)!!! I would buy school clothes. Sadly, for my children–not myself. I just “liked” The Inspired Room on FB. I am in the middle of re-doing our bedroom so I would definitely use it towards that!! i like apartment guide on FB; colleen b.
i like the inspired room on FB; colleen b.
I would buy my girlfriend whatever she wants for our new place…there is too much to list! I’d probably buy bookcases or a desk since I am turning the play area into a “school” area for the new school year! I would use the gift card towards a new rug for our family room! I’d use it towards the purchase of a new rug for my living room. I would buy materials to make a window seat with surrounding bookcases. I’ve been dying to get started on this project!! I would love to win this gift card! I should use it to get my living room carpet cleaned but I know I’d really go out with my girlfriends instead! I would like to buy a chandelier for my scraproom. I’m the only girl in our family of boys (4 kids, 1 hubby) so a feminine touch would be nice!!! I already “like” you on facebook!!!! Oooh…I would use it for a wonderful light fixture for my living room or entryway. This is a great giveaway! I would probably spend it on the landscaping that we want to do outside this fall. Thanks! I would do something in our bedroom. It’s very sad and needs help, fast! If I were lucky enough to win this GC I would buy gooseneck barn light sconces for my kid’s bathroom in our new house!!! Please pick me!!! Thanks to the inspired room and apartment guide for this giveaway! I ‘like’ apartment guide on FB too! I’d buy new bedding for my master bedroom. Way overdue!! I’m in the process of turning one of our rooms into a guest room/office/craft room – on a very small budget! So I would definitely use the gift card toward that purpose. Maybe toward a great desk/craft table – or amazing supplies! I would put the $200 toward a loft bed for my daughters room! I would buy my girls back to school clothing. I would spend the $200 on finishing my new bedroom. Lamps, storage, bookcases, side tables, etc, etc, wait I need more than $200, lol…well anyway it would help, thanks for the chance. I would love to say that I’d use it toward painting cabinets, but really, my husband is starting a business and we’re not bringing in any money yet, so I would probably end up using it on every day type stuff. Wow – $200.00! I’d buy the Vera Wang quilt (Love Knot) that I am resisting! I’d get new coffee table for our living room. Thanks for the opportunity! If I won the gift card I would start buying a gallon of paint and some new window treatments for my living room. I entered to win the grand prize $10,000 sweepstakes, for $200, I’d get new carpets and curtain, table for our living room. I liked the apt. guide on fb! If I won a $200 gift card, I would…1. be amazed because I never win anything…2. use it to help in the remodel of my very early 80’s kitchen that daily taunts me that it could be beautiful if only I would help it LIVE! New material for curtains in my living room! I’d get some patio furniture! Wow! I have no idea what I would would buy, but it would be awesome! We are getting a new place and I need stuff for it! I just had to like you! I just had to like them! I’d love to have a $200 gift card to splurge on some fabric for pillows at TL! I “like” Apartment Guide on Facebook! I have been entering the $10,000 sweepstakes everyday. I would use the $200 to pay for the installation of my new light fixture for my kitchen. It is a beautiful green tiffany style chandelier. It will look so amazing in my new kitchen! Thank you for the opportunity to win such great prizes. I would use it for new lighting for either my kitchen, hallway, dining room…so many choices. I would buy a new lighting fixture for my bathroom. I’m moving to a 170 year old house! The $200 gift card will help me buy soup to nuts on my renovation. o im sure i find just the right things with a free $200. I would finally get some curtains up in our west-facing bedroom where my husband sleeps because he works nights. Oh, and some curtain rods would probably be needed, too. I entered the sweepstakes and with a $200 gift card I would purchase a new area rug for our newly finished walkout area. I’d give it to my daughter to spend on the home she just purchased! I already had liked Inspired Room on FB. Tweeted about sweepstakes and your boards. I would put the money towards buying a new sofa for my livingroom. I would buy this all white bedding set I have been eyeing and/or I want to make this sand dollar mirror that I saw in Martha Stewart Living this past month. I think it would be cute for a tropical bathroom. Hope I win!!!! I liked the apartment guide on facebook! I liked Apartment Guide on Facebook. A already liked The Inspired Home on Facebook. I would probably use the $10,000 to get replace some very old rugs in my home or replace the dining room set that falling apart. I would use the $200 giftcard to buy items for the bathroom in the home I’m moving to. We’re moving into my son and daughter in laws home while they are in Korea in the military. They can’t rent home right now and it saves the getting a storage unit for all their stuff. oh 200 bucks i’ll say rugs for family room but i am sure once i start to shop i will change my mind 100 times!!! I would buy chairs for my patio! I’d buy new fabric for our dining room chairs. It has been a long Summer! I live in GA and we were hit by the Aug tornadoes so we have had an extra long summer while the schools are being repaired. I am a substitute teacher so I have been out of work a long time. I am enjoying my time with my kids but I sit in my house and obsess about the things this house needs! I would buy a new chandelier or a new area rug with $200! I would buy a glass light of some sort for my living room, my ugly ceiling fan needs to go! Hope I win. With a $200 gift card I’d buy a rug and fabric for curtains for our first nursery! I liked apartment guide on Fb. I may be needing them if it doesn’t work out to move in with DIL. I really hope that works out in sept though. I really need that for my sanity!!!! I can’t stay living with parents. They need to give up home and move into something smaller period. Can’t keep doing this!!! We just closed on our first home this past Thursday so there is SO MUCH I could use that $200 on! A new fridge is definitely at the top of this list! I liked The Inspired Room on Facebook. If I won the $200 I’d buy some Chalk paint. I liked Apartment Guide and the Inspired Room on Facebook. I would definitely use that money to give my main bathroom a ‘facelift’! For $200 I’d possibly get a new duvet cover from anthropologie. I would put it towards the fire pit I am eyeing for our lower patio! With $200 I would buy fabric for cushions for an antique wood/wicker set I am refinishing! Like the Apartment guide on facebook! I would buy paint and put my hubby to work! I like The Inspired Room on fb. Hmmm…new bedding…no, maybe some fun kitchen tools…no, invest in my ministry…nope, buy something nice for my husband’s birthday – he’s been through a tough couple of years with medical issues and it would be so nice to spoil him a bit! With $200 I would buy painting supplies to paint my 80s oak kitchen cabinets white and some nice new cabinet hardware to go with it. Wow, $200? I would put it toward Christmas gift shopping! So many things to do at the new townhouse, but right now I keep thinking that this would go towards outfitting the interior of a new closet we put in the entry way. Rack for coats, shelves for baskets to hold hats, gloves, etc and maybe a unit with a pull out drawer. I’d put it towards decorating my sewing room in a Victorian sitting room style! I would use for gasand chalk paint. I would use it for gas and chalk paint. I would use it to buy a new area rug! I would buy the subway tile I’ve been eyeing for my kitchen that is too young to be retro and too old to look good. for our deck. Great outdoor sales are beginning right now! I “Like” Apartment Guide on Facebook. With 200.00 I think I’d take care of my bedroom windows- we need drapes! If Im the lucky winner, I would get a table & an oval mirror to put by an empty wall that I have in the apartment. And I will fill the table with pictures of all my loves… the fiance, family & friends. With a $200 gift card I would give my Master Bedroom a face lift with a coat of Beeswax yellow and new lighting!! I liked the Apartment Guide on FB! I also like The Inspired Room on FB! And, now I “like” Apartment Guide. I’d use the $200 on curtains for my living room! We’ve lived here for 17 months and I still don’t have curtains up. Or I may buy some wall art for the eating nook. What fits on a round wall? There are sooo many things. But, I’d have new cushions made for my family room sofa and don’t laugh…get a new bike helmet. New fabric. Decorating my master bedroom and just found the parfect one. Finally after a lot ao searching. I would buy a few household items: steam mop, griddle, and fabric to make some curtains in my kitchen! I am renovating a home to sell it – this would go towards the new floors, paint, toilets and sheetrock we have to have!! I’m actually dying to spruce up a few rooms here for fall/winter. I can think of eleventy different things I could use $200 dollars on. 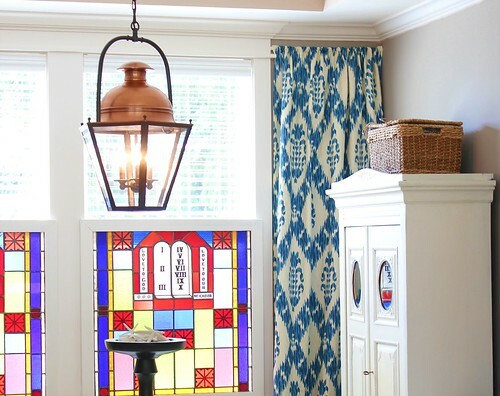 A new light fixture over the kitchen sink is at the top of my list! We’re just now moving so I would use the giftcard to pick up all of those last minute things one thinks of when moving, cleaning and organizing. I would probably splurge on some new artwork for my bedroom. Possibly get some school clothes for my kiddos! Our living room is in bad shape. I would use it to paint the living room or put it towards new carpet and blinds. Well, since I just moved, I would use the $ to buy a few things for the new house to fill in a couple of empty spaces. Ahhh. What WOULDN’T I do with 200 bucks. Maybe buy paint…big bang for the buck!! A new light for my kitchen please! What would I do with $200? WOW, maybe buy paint for my living room(22 foot ceilings) which takes a lot of paint. Or finish my Master Bath walls, all tiled and no paint…do you see a common thread running through this? I would def. get a new conforter and duvet for my King sized bed. We’ve had a ratty old electric blanket as our “bedding” now for **5** years!!!! I “like” the Apartment Guide on FB! I’m in the process of making myself a craft space in my tiny apartment. This would definitely go towards that! Hmmmm…a $200 gift card….I think I would look for a new light for my dining room or new drapes or fabric for drapes for the living room! a new light for my kitchen! or perhaps drapes for the family room. spucing up in my rec room/family room. I plan to rearrange the furniture, and my couch either needs replacing or covered with a slipcover. I also need more lamps in that room, so the gift card would help with that! Thanks for the chance! I just moved into a new house and I would put the $200 card toward a new rug for our family room! Thanks for doing a giveaway! I would use it to make a tufted headboard for our bedroom. Fingers crossed! I would get new lighting for our house entry and hall! Thank you!! I’d use the $200 gift card to make an upholstered headboard. “Liked” you both on FB. Love your blog! Thanks! I would get some curtains to pretty-up our bedroom! I would buy a few stools for my kitchen area. I really need additional seating and this could fit the bill!! STRETCH–there are SO many little projects to be done in our new (1983) home–I would stretch every penny to make a statement! I am getting ready to move and I would use that money to buy paint, b/c no matter what new home we choose I know we’ll need it! I would finally get the awesome chair for our master bedroom that I’ve been dying to get! I would buy some new decor for our living room with the money if I won! I like Apartment Guide on Facebook! Wow, that 200 bucks would go a long way toward us doing our bathroom makeover…it’s from 1948, and it’s peach and burgundy tile-HELP! I have so many projects I am working on now but fabric would be my starting point! I would use the money to purchase drapes for my family room. We are closing on a new house in need of lots of love in 2 weeks! $200 could help that bold purple dining room I’ve been hoping for! I’d use the $200 to rent a commercial steamer to get this nightmarish wallpaper off!!! I would buy something purty! My boyfriend and I recently moved in together so I would definitely fix up our bedroom (so I can tell a girl lives in there also) We need a new comforter and lamps. I think I’d use the $200 towards a new mattress! Boring, I know. I like both pages on fb as amanda sakovitz #2 for my fourth entry. forgot to split them up, thank you! We finally have a dedicated guest bedroom since recently moving and I’d use this toward finishing it up. I’m so excited for our guests to have a bright, cheery space to make themselves at home while they’re visiting and this would definitely help me achieve that goal! I “like” the Apt Guide on FB! I “like” the Inspired Room on FB! I would love to finish up diy household projects with that giftcard…it would be a blessing! Lamps! With drum shades! If I won, I would get myself over to Homegoods and do some major lamp shopping. I would use the money to finish my daughters big girl bedroom! I am sorely in need of a new chair in the living room. Many thanks for the chance to win!! I would buy a new chair for our living room- the old one needs to go. Ooooo… I’d probably put it towards refreshing my bedroom – linens! I would paint my kitchen and dining room! I’d get new bedding and maybe some curtains for my bedroom. I would finally be able to put the finishing touches on my dining room! Finally get a new comforter! Ooo!! $200! I would put it towards new flooring in the kitchen. One day will have enough to get that lovely blue carpet out of there and put in something much easier to wash. Thanks for the opportunity!! I have promised and promised my son that I would redo his room, I need some inspiration to get started. Girls rooms come easy to me, boys rooms take more work, but I think a $200 gift card could get the inspiration flowing. Thank you for the opportunity. It would go for a new comforter and pillows in my bedroom! Husband and I went looking at couches Friday..so it might go toward that. But I really want new flooring before a couch…so it might go toward that. Maybe toward some lamps or just new lighting. Thank you for hosting! Liked Apartment Guide on FB as well! With 200 bucks I would either get a new area rug or a new light for my kitchen. Great giveaway! I would love to get a sitting chair for my bedroom. 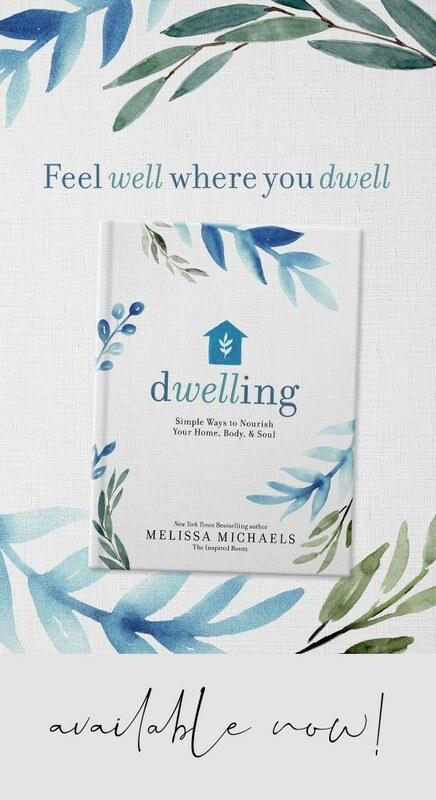 I think it would be nice for reading, plus I have a friend who is a new mom and I think she would love a quiet, private place for nursing while visiting our place. I’d buy paint so I can do a little makeover in my apartment. I liked The Inspired Room and Apartment Guide on Facebook! I would use it for my son’s bedroom redo. He’s entering high school in a few weeks and it’s well past time to grow up his room! I am repainting all the rooms in my house–they are icky, flat, used-to-be-white walls that are now more of a grimy grey. I would love to have $200 to buy a new shower curtain, towels, and such for my boys’ bathroom. Fun! We need a new bed, so I would buy one if I won. Oooh – what a great giveaway! Thanks for the chance to win! I’d splurge on a nice reading lamp. I would purchase some molding materials for our bedroom. I’d buy a new bed spread & some pillows. I would decorate for Fall! It’s almost time! Liker of apartment guide & inspired room on fb. Keeping my fingers crossed so I can fun all of my projects! I like The Inspired Room on Facebook! I like Apartment Guide on Facebook!! Such a fun giveaway! I would use the money for some new bedding. I would use it to by myself a new Dyson vacuum. I would use the $200 to buy some kind of media cabinet to store all my dvds and cds. actually an airline ticket to attend a friend’s wedding! Also “Liked” the Apartment Guide on Facebook. Ooops! This is the real tweet! I forgot to enter the hashtag #yourpicks on the last one I posted. I would do a bit of kitchen/cookware/gadget upgrading. I need a mandoline and a microplane, and some new linens, towels, and potholdres. I would buy new fabric for window treatments in our family room. I would get some blackout curtains and other miscellaneous items that we’ve been meaning to get since we’ve bought the new house. I would probably go with my first thought and give it to my daughter. She is on a tight budget with her being a stay at home mom and 2 small kids. She loves to decorate. Liked Apartment Guide on Facebook! We need new curtains! The hubs and I just bought a house and all of our windows are currently naked. Some of them shouldn’t be naked… oh hello neighbors! I would hire someone to hang a light for me in our entry. It is verrrry high. LOL!! I would put it towards outdoor patio furniture. I would buy a bookshelf for our apartment living room! I’d buy a bedding set. My white down comforter is too boring. I’d buy some bedding from Home Goods. I would use it to buy a new border for my kitchen. I am tired of looking at the current one. I need a simple, neutral border so I can install my new Uppercase Living vinyl wall letters :D.
… i would up date my family room… thanks for the opportunity.. I would buy fabric for recovering some parsons chairs we just bought! They are currently purple and in some need of a little updating. Thanks for the opportunity to win! I would love to buy a cool new mirror for my powder room! I would get a new side chair for our living room from IKEA, maybe even a headboard too! …and I liked the Inspired Room facebook page (I’m surprised I hadn’t “liked” it before, I just assumed I had!) No twitter, so only three entries for me! We just got a new cottage to renovate. The list is LONG. But I would put the money toward our new flooring budget. YIPEE!! I would probably buy a couple of things to prepare for a a new apartment I’ll hopefully be moving in soon! Take my hubby out for our anniversary coming up! I liked Inspired Room on FB! I desperately need new bed linens, but I just busted my ankle this week and am also battling inoperable spinal tumors, so really should use it on necessary vitamins, supplements, and protein shakes that I need while trying to strengthen and heal my bones… Thanks for a great giveaway! Like Inspired Room on FB! Like Apartment Guide on FB! I would spend $200 toward fabric to make drapes for my guest room. I’ve been hoping guests would stay away until I finally get something beautiful hung on the windows! I would like to finally go and scour some thrift stores and find some coolio items to make over! Well, we are just about to move into a new place so I am quite sure that we could spend that $200 on area rugs (new place has no carpet) and other miscellaneous doodads to make it just right. I’d buy a floor lamp for the living room – ours is beyond ugly! With a 200 dollar gift card I would finally get around to the most neglected room of the house… my bedroom! Refurbish furniture, new comforter, shades, lighting and everything else it takes to make it a dream even before I fall asleep there! 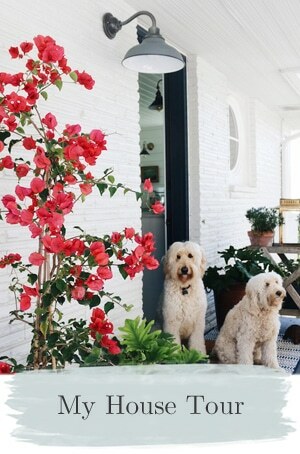 I want to spruce up my porch with cute accessories! Love your look!!! I would put it towards a rug for my living room! I would put it towards food, or new shirts for my husband. I’d use it for paint in my kitchen. I’d spend the gift card for pretty and functional organizing items for my home office. 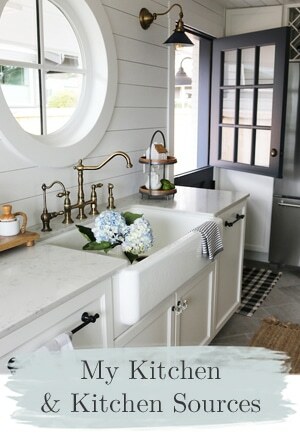 I would love to win to go buy the paint and accessories I need for my newly completed bathroom! I’d use a $200 gift card to buy some fabric and accessories for my master bedroom and guest bedroom and the quilts I plan on making for them this year. The bathroom nears completion and the only thing left is to install a new floor. $200 would buy the tiles I need to complete my bathroom floor. Thanks for a great giveaway! I would put an extra $200 toward the never ending task of painting my new home! Liked The Inspired Room on Facebook. Liked Apartment Guide on Facebook. I would use $200 to buy wall decor for my house we just bought 2 months ago. Bare walls = sad face. I would buy some artwork for my bedroom wall. I just bought my first house and it is a project house. I would use the $200 towards new carpet that is badly needed!! I think I would buy fabric for living room window treatments. I would use it towards new furniture in the living room. We recently had lots of water damage due to the water heater leaking (while we were on vacation of course), so I’m going to be replacing things, and sprucing up the room. I’ve been wanting a new chair for my office/craft room, but other things like back-to-school have taken priority. It would be so awesome to have some extra $$$ to splurge on the new chair! We have desperately been saving for a small wedding next year, so no pennies have been spent on our apartment! We would use the gift card to dress the windows and create an oasis patio space perfect for the end of summer and beautiful fall weather! I would buy paint and accessories to finish my office! I’d spend $200 to update my bedroom or beautify our patio. I love your website~have been hooked since meeting you at Relevant last year! :) Thanks for the inspiration *and* fun giveaways!! Liked Apartment Guide on FB. I’d use it to start my brush/paint supply. We’re moving to a new house and would love to use the $200 to help decorate our master bedroom. Liked The Inspired Room on FB. I think I would spend it on the bedroom. We need a new duvet and new art. I’d use it to buy an antique book cart or pillows and finishing items. What fun! THank you! I would use it to buy a new area rug for my living room…the carpet in my apartment is not aging well! I would buy some IdeaPaint and get some creativity flowing in different areas of the home. Especially for the school room and office :) Maybe kids’ rooms, too! I am just starting a living room makeover and could definitey use an extra $200 towards that! We’re moving back home to the States after 3 years of life in rural South Korea – in early December! There’s so much involved in a move like this that $200 could go towards anything from gas to groceries to space bags to all kinds of last minute purchases. With the $200 gift card, I would buy a new headboard for my bed. I’d like to buy a new couch! I would use it for some new light fixtures for my kitchen! Whoohoo! This is great! We just moved into a new house that is much bigger than our 2 bedroom starter home was. I’d use the $200 to get some fun accessories! I need stuff for every room, and this would definitely help! I desperately need a new end table. I would use it for a new front door that has windows to let in some light into our foyer. I would buy a new rug for my home office that I am converting to a nursery. My boys rooms need a touch up – new paint, new bedding, and new shades. An extra $200 would go a LONG way. Thanks for having the giveaway! I like The Inspired Room on face book. I would get some new accessories for my bedroom….it needs some freshening up. I´d get a new bedset and reading lamp for my bedroom. I’d put it towards a dining room table! I would spend $200 on fabric for new curtains for my condo or just buy curtains! Oh this prize would be a great start on redoing my 16 yr old son’s room. (still can’t believe he is that old hehe) He has had the same ‘fishing’ motif for 6 years now, and I think it has actually been that long sice he went fishing. I would love to do him a really cool ‘grown up’ room. I would love a new rug for my family room! Awesome giveaway! I already like you on Facebook! It would be a family room rug for me! Curtains for our family room. The sunlight is blinding in the daytime. I’d use it to get some upholstery supplies! I really want to learn to reupholster! curtains for my living room! maybe the off-set will help ease the cost a little so they will pass through the ‘finance committee’. I would update my family room. i’d buy a nice area rug for our new hardwood floors! I need a new dining light! I like Inspired Room and Apartment Guide on Facebook! I would buy frames and shelves with a $200 giftcard. Love love love that headboard!!! My son’s room definately could use some updating. Wow, an extra $200? I might get a new comforter for the master bedroom. I’d but a braided rug I’ve been eyeing! I’d buy a braided rug I’ve been eyeing! I gave you and AG a shoutout on Twitter! I would use it on a new bed set! I have such an old comforter and I’d love to get something new to complete my room! I like the apartment guide on facebook! dd bedroom, laundry room, entry way. That would get me good and started!!! I’d like to buy new pillows and bedding! I also entered their sweepstakes! One of 2 things: a new indoor cooking grill and a new microwave for my hubby (old one is rusting on the inside…yuck!) OR use that $200 gift card to get supplies to finish a down the to bare walls bathroom. Both would make me sing from the tree tops. Thanks for the chance to sing! I would buy new bedding for my bedroom. My husband and I seem to spend every penny on bills and thing for the kids. It would be fantastic to have something extra just for us for a change! I would add lush pillows to my living room. Imagine burgundy pillows embellised with beads and metallic decorative cord. Basically, I Dream of Jeannie’s Bottle meets The Arabian Nights. This is so exciting! I would use the money to create two beaded lanterns for my new apartment, and I’d also buy fabric to make curtains. Woohoo! I would love to buy new curtains for my home! Especially my kitchen/living area. Hi. not sure if my comment posted but I would love to buy new curtains. Oohhh, what could I do with a $200 gift card??? Art!!!! I need some peices for my bedroom. I would also finish my laundry room out! Shelves, blinds, roman shade… etc. etc. just in time to enter – whew!! this gift card would be a life saver right now as i just got a new house and there is so so much to do to make it “home.” i think i would take the $200 and put it towards a grand bookcase for the entrance. actually, thanks to ikea i could get not only the bookcase but maybe a book as well! p.s. i now like apartment guide on facebook! If I won, I’d put the money towards wedding expenses. I have so many DIY projects in mind! I liked The Inspired Room on Facebook! And I just liked Apartment Guide on Facebook, too! I would get a new comforter, new sheets, new pillows, and new pilowcases:) THANK YOU:)!!! I like Apartment Guide on facebook Emmy S. THANK YOU:)!!! I like The Inspired Room on facebook Emmy S. THANK YOU:D!!! I would take that gift card and spend it on a mini spa day for myself. I would go and get my hair done and my nails and a pedicure…that sounds great to me and right now I sure need it! Oh my gosh, so glad I didn’t miss the chance to enter! 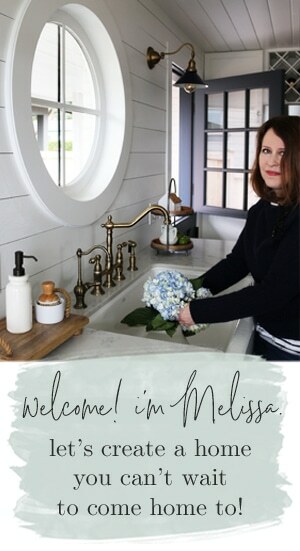 I would love to re-do our guest bathroom and my kitchen with a $200 gift card, those are two rooms that guests definitely see so it would be great to make them extra inviting and “inspired” :) Thanks! Also liked The Inspired Room on Facebook (from my blog’s page, Verbal Melange). With $200, I could think of ALL SORTS of things to buy! Turning trash into treasure, a new rug from PB, light fixture, tile for my bathroom reno…..etc. I would use it to buy some lamps and a new rug for my living room. I would use it toward the cost of new living room furniture. My home desperately needs it. Hmmm, think that I would buy a cover for the couch in our sun room, and maybe some pillows. Hello, how are you? thank you for this opportunity. I would use the gift card to buy some groceries. I am following.